As local councillor for our area, Ian Yuill’s top priority has always been to stand up for local people and for our area. Ian says: “It is a huge privilege to represent our area – my home – on the city council. My top priority has always been standing up for local people and for our area. 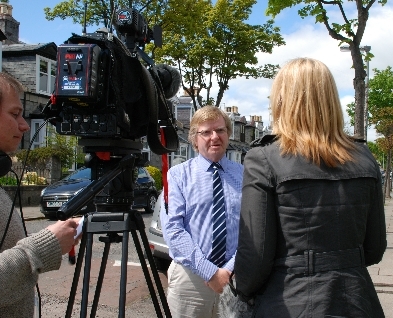 “If I am re-elected on Thursday 4th May I will continue to speak up strongly for all local residents. I will continue to always put local people and local interests first. 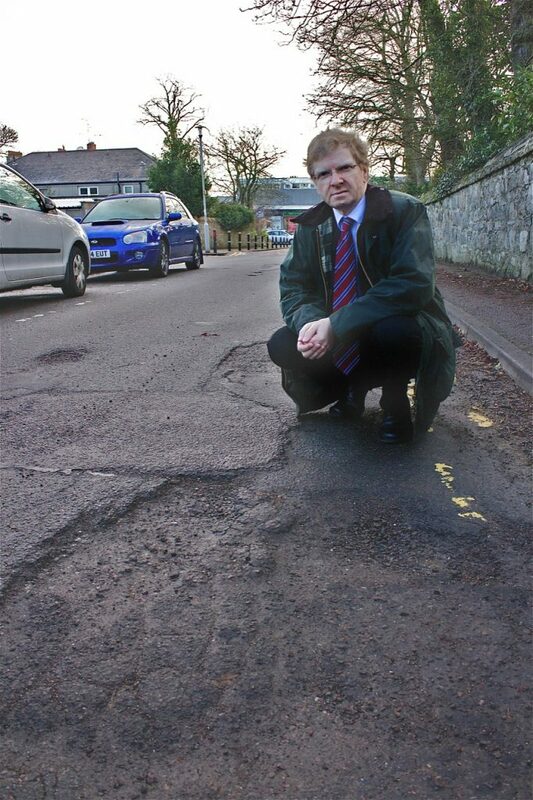 Ian Yuill and the Liberal Democrats believe repairing Aberdeen’s crumbling roads and pavements must be given a higher priority. “Under Labour and the Conservatives the state of our city’s roads and pavements has got worse,” says Ian Yuill. “Yet they have repeatedly rejected carefully costed Liberal Democrat proposals to invest in tackling this problem. Ian Yuill and the Liberal Democrats want more investment in schools and education. Earlier this year Ian Yuill and Aberdeen’s Liberal Democrat councillors proposed investing an extra £2.5 million in our children’s education. That is the equivalent of £111 for every school pupil. Sadly the Labour, Conservative and Independent councillors who currently control the council rejected this plan. 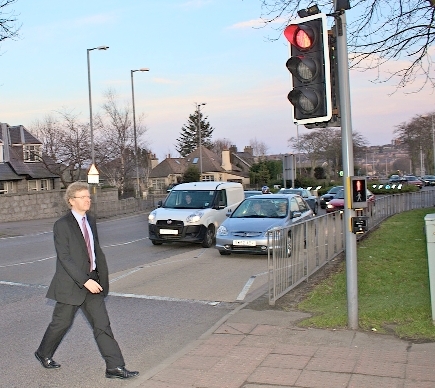 Local councillor Ian Yuill is leading the campaign to get Scottish Government agency Transport Scotland to improve safety at the pedestrian crossings and traffic lights on South Anderson Drive and Anderson Drive. “Both the council and Transport Scotland need to listen to residents and act to tackle these problems,” says Ian. Ian Yuill will continue to fight for a fair deal for Aberdeen from the SNP Scottish Government. Ian says: “It is time the SNP Scottish Government gave Aberdeen a fair deal and ended their bias towards the central belt. As Ian Yuill and his team have been calling round, people have told them time and again that they do not want another divisive Scottish independence referendum. “People have told me they want to see the SNP Scottish Government get on with its ‘day job’ of improving education, properly funding our NHS and tackling the social care crisis – not spending time focused on another divisive independence referendum,” says Ian.